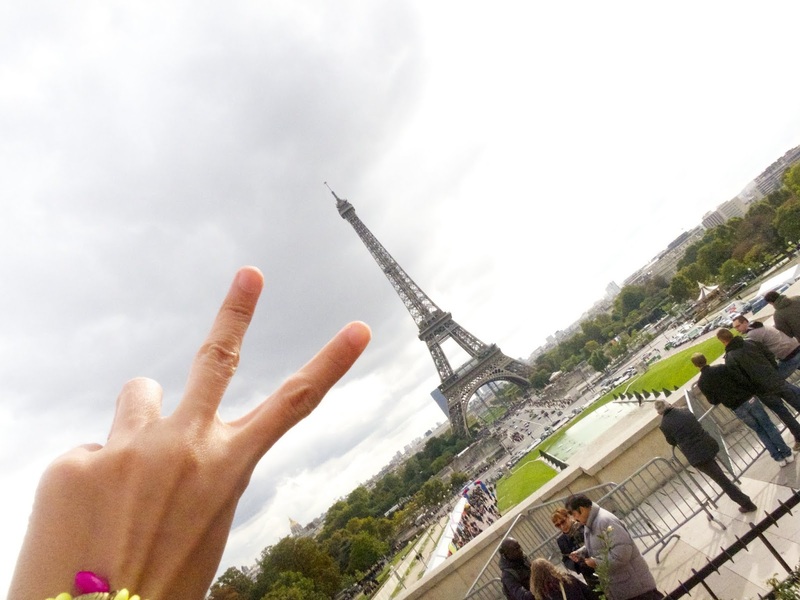 Excuse my ugly short fingers... ruining the Eiffel Tower view. 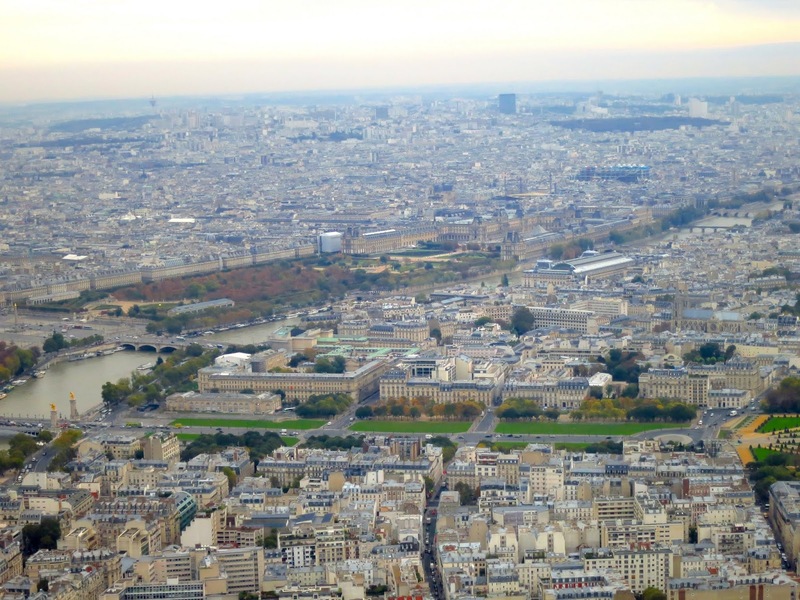 When we were finally settled in our lovely room in Paris, we quickly refreshed ourselves, hoping the arduous long-haul flight won't take a toll on us and make us give in to our brightly-colored bed, which was very tempting. 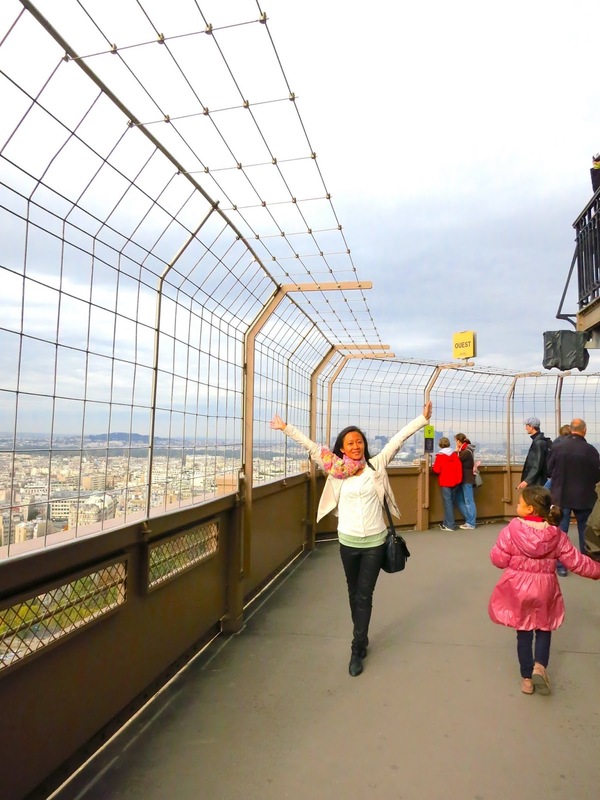 Jet lag was yet another foreign concept to us that time so, we made our way to the Metro that got us to Trocadero, giddy with excitement. 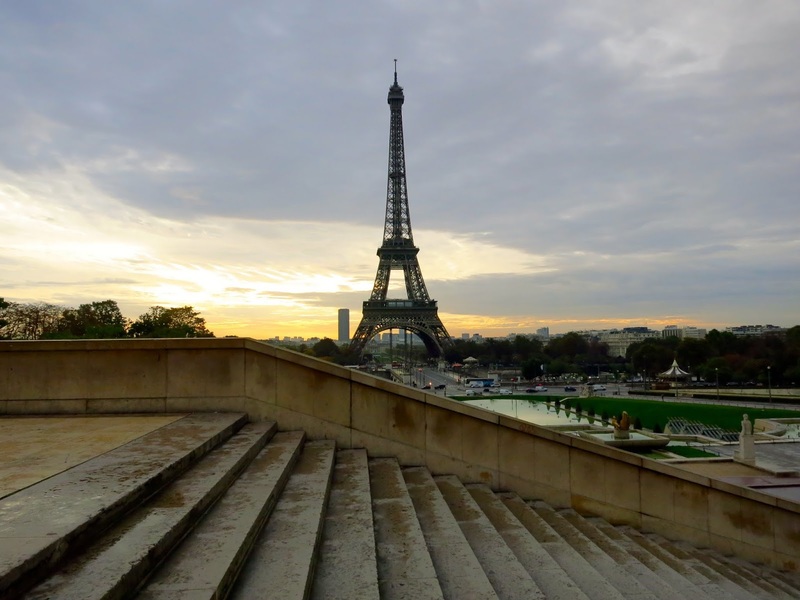 Trocadero is famous for having a great vantage of the Eiffel Tower. 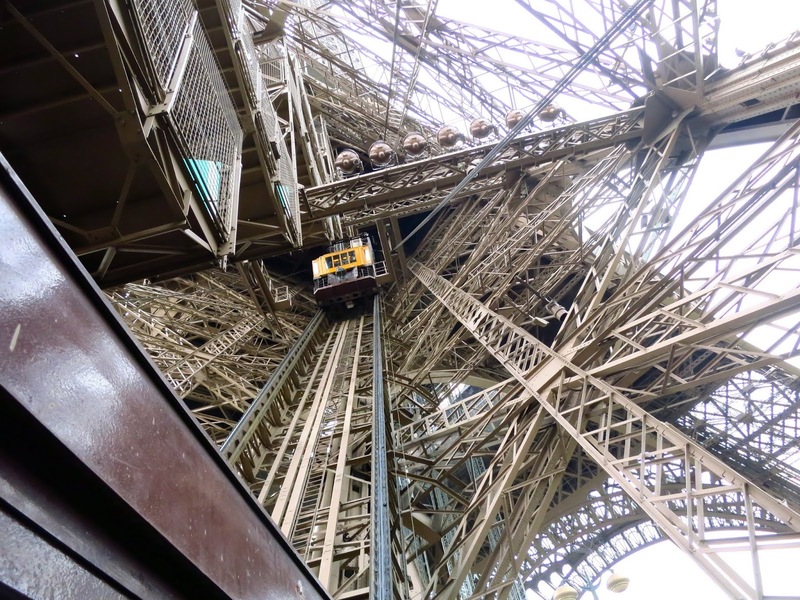 Why straight to the Eiffel Tower, you may ask? Well, there is that perennial joke I always hear when someone is new to a place, one has to bow and kiss "something" in that new place. But I never saw anyone actually doing it but it makes a good guffaw every time. A conniving excuse to pick on someone, really. And NO. 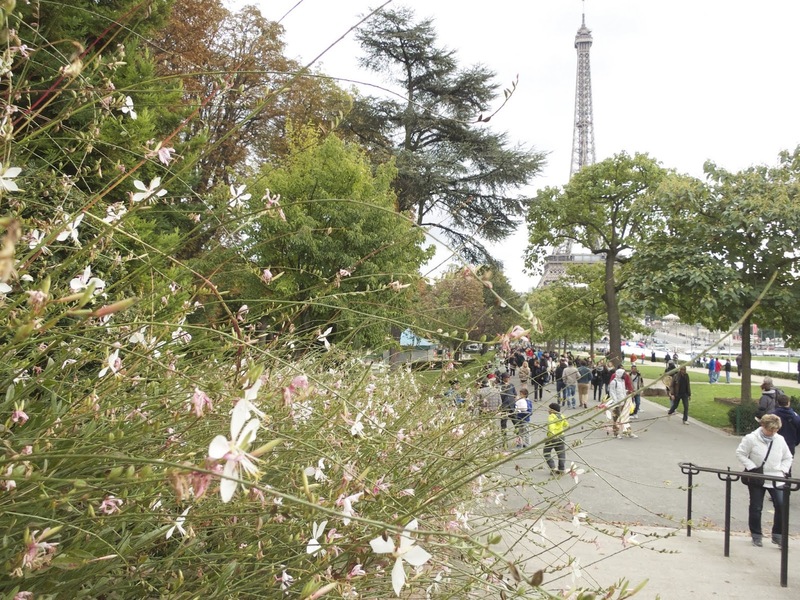 We did not kiss the ground in Trocadero because it would be icky given the multitudes of people that were there. 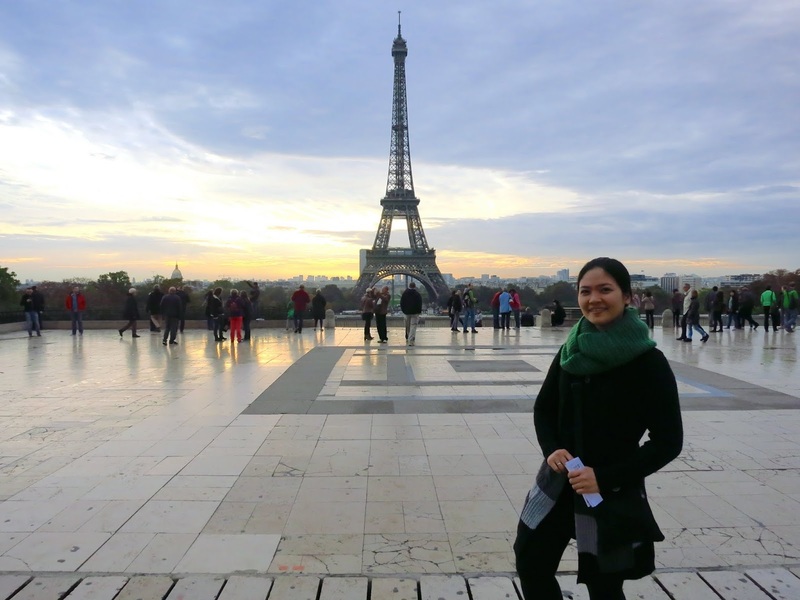 The Eiffel Tower was a reassurance to us that we were not just dreaming when we got on a plane and landed in a different continent. 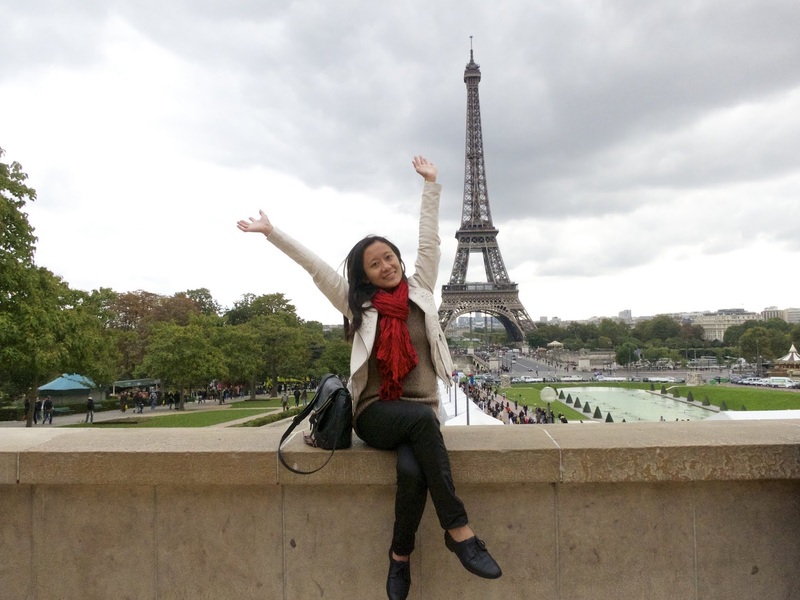 We were only here in Trocadero for a while and by that, I mean long enough to internalize what we had gotten into. 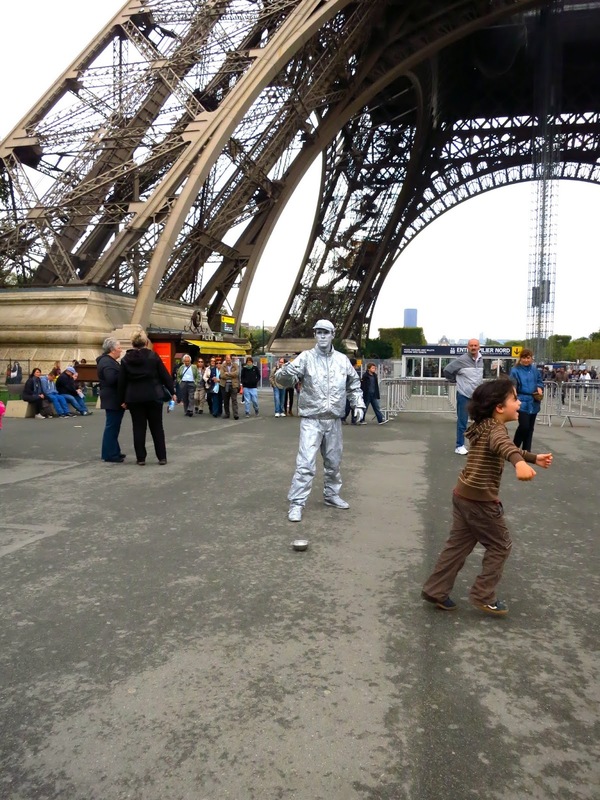 haha That we were there in Paris and we were staring at the city's icon, in its metallic "flesh". And even long enough, to find a deserted spot under the foliage to get away from the crowd. 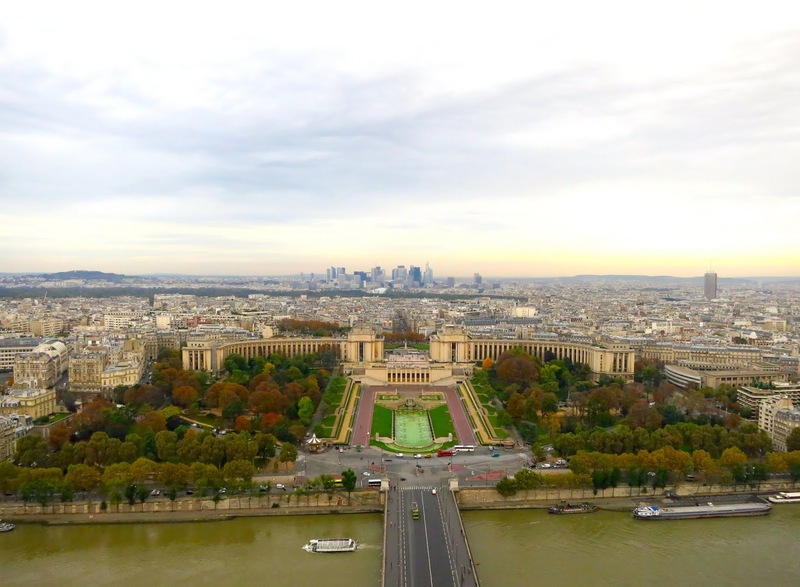 We had been to 5 other countries within the two weeks and came back to Paris for our final leg. 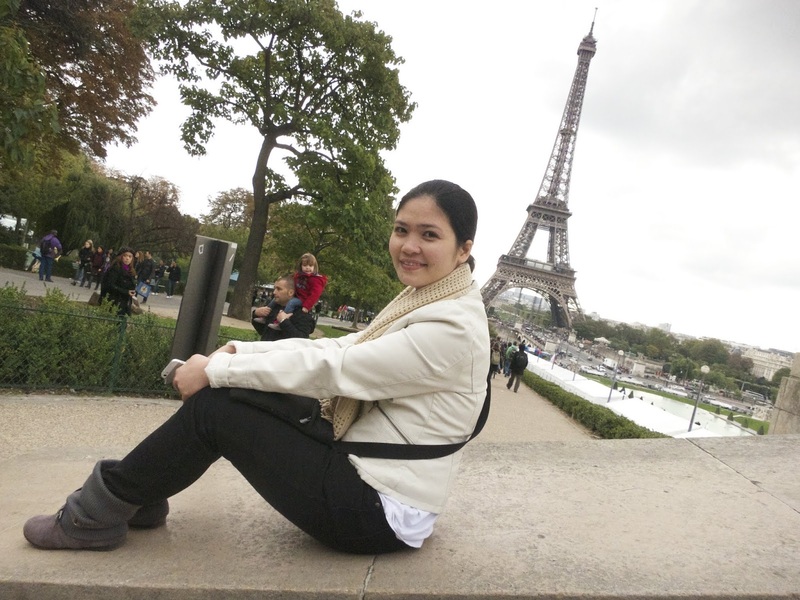 On our last day, we came early to catch the early rays of the sun basking all over Paris. 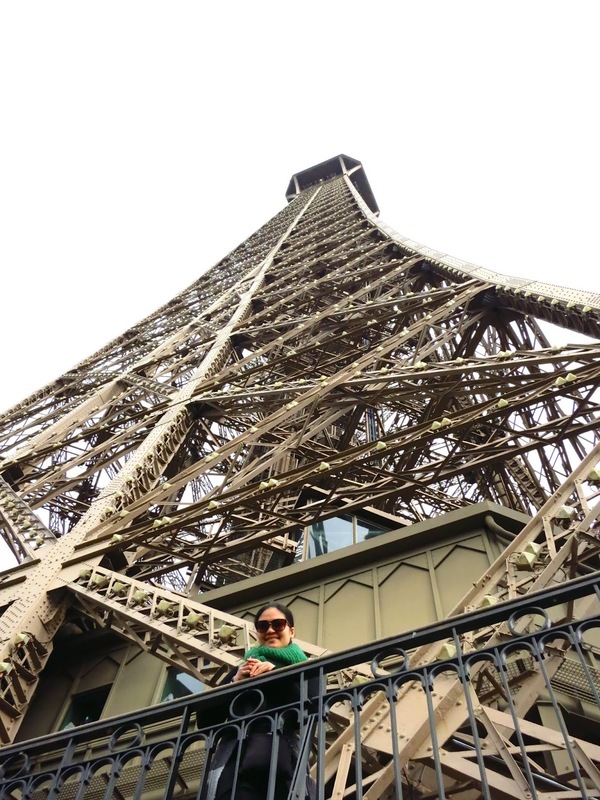 We still found the Eiffel Tower standing in the exact same spot like it has been for over a hundred years. These chic ladies climbing the tower a long time ago. Thank God for elevators or lifts (if you say so). The workers back then had a far more challenging and perilous way. 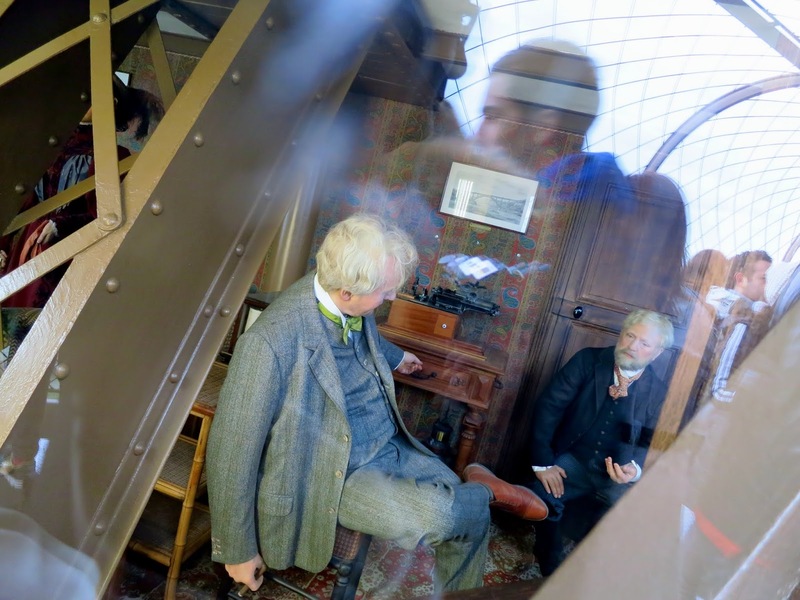 Incredibly almost-real wax figures of Gustave Eiffel (the visible face) entertaining Thomas Edison at the top floor. 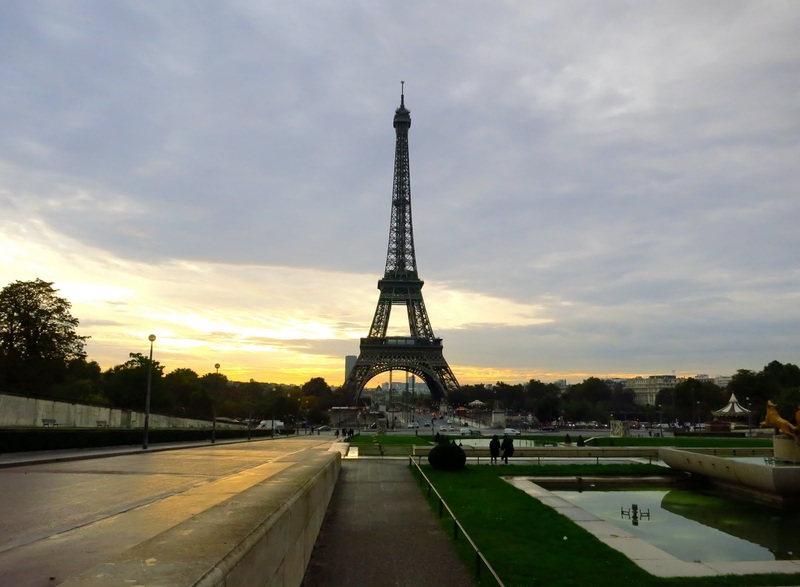 The Eiffel Tower was an important feat of engineering during the time it was erected. 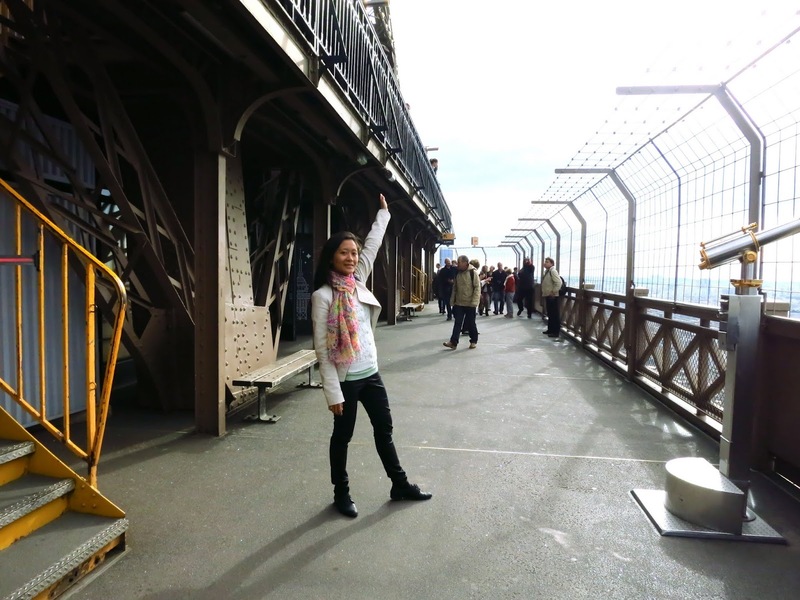 It was a genius work by Gustave Eiffel hence, the tower's name and it was built for the World Fair in 1889. The tower has remained standing up to this day after extensive renovations throughout the years. 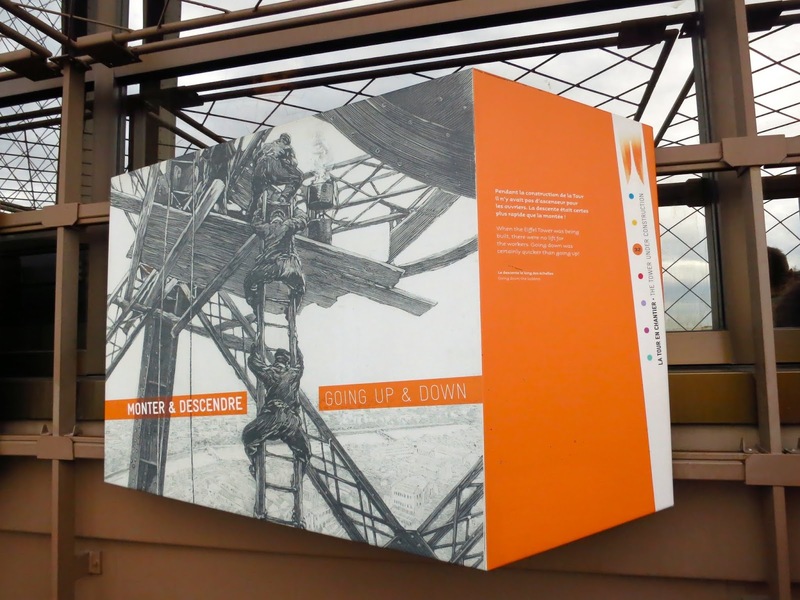 The tower had a significant "makeover" from 1982 - 1985, using more lightweight materials. 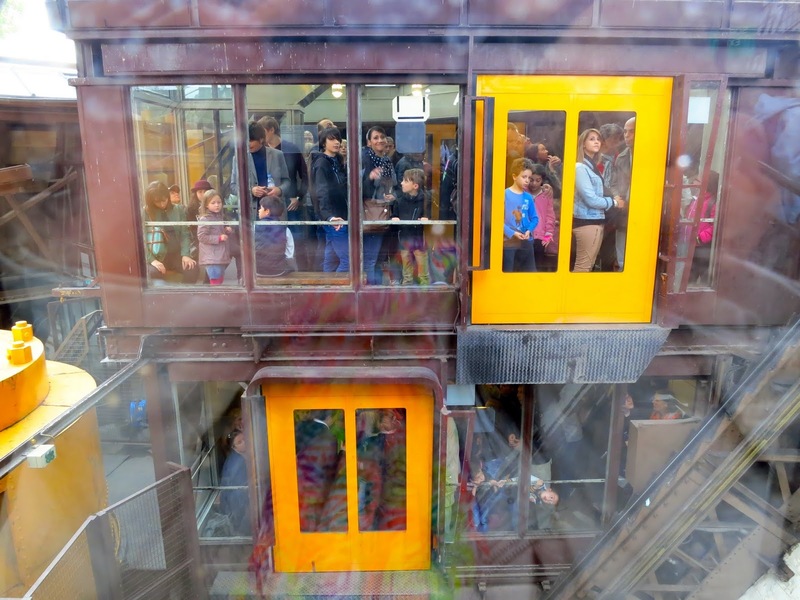 It is also being repainted every seven years on average and the last was from March 2009 towards the end of 2010. 60 tons of paint are required. 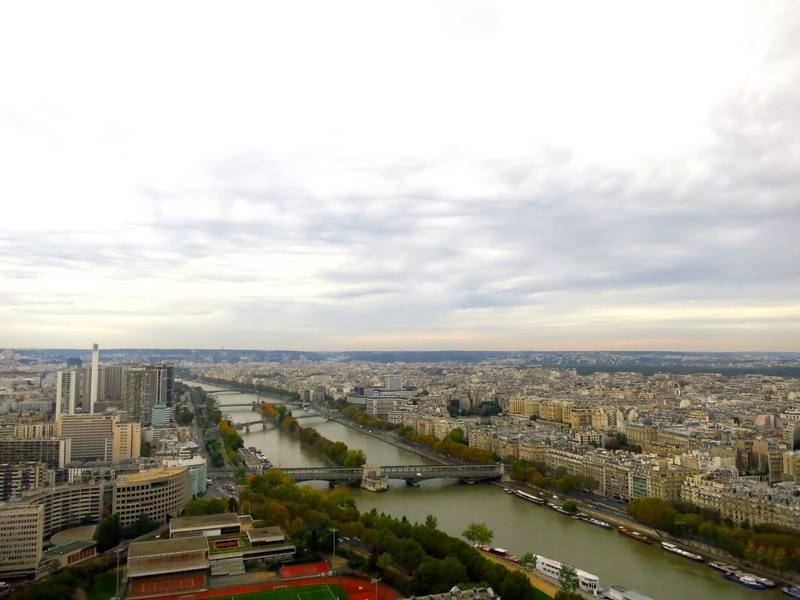 The River Seine cutting Paris in half. 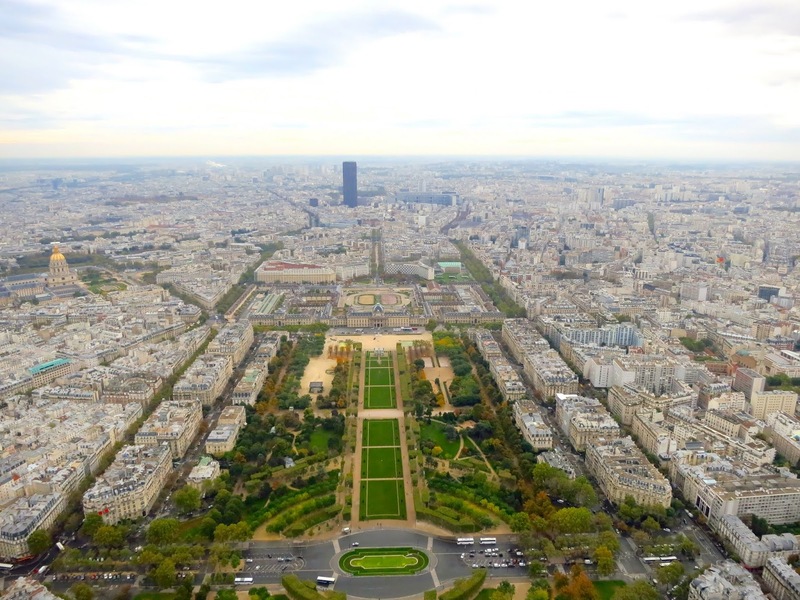 The Trocadero as seen from the Eiffel Tower. "I see you." "You see me." Must be their conversation everyday. 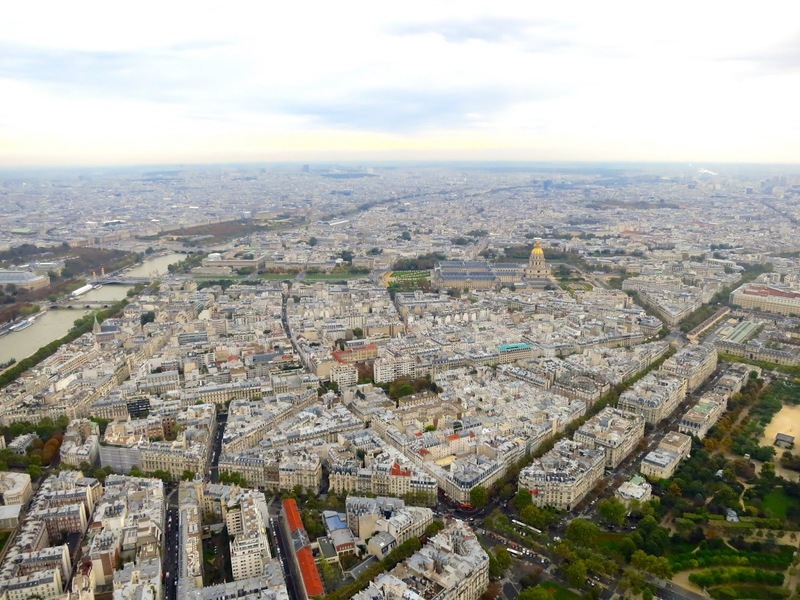 Find the tiny Arc de Triomphe. Clue. It's on the upper left! 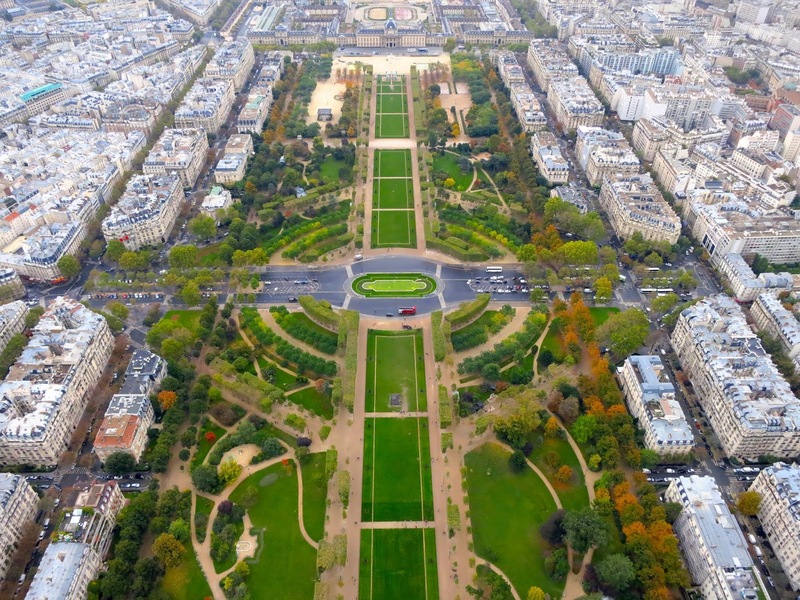 Straight from the Arc de Triomphe is the Louvre Museum. Can you see the pyramid? Now on the other side of the river, the building with the golden dome is the Army Museum. We bought our tickets online prior to our trip because we wanted to make sure, of course. We also wanted to avoid the possibly long queues for the tickets. 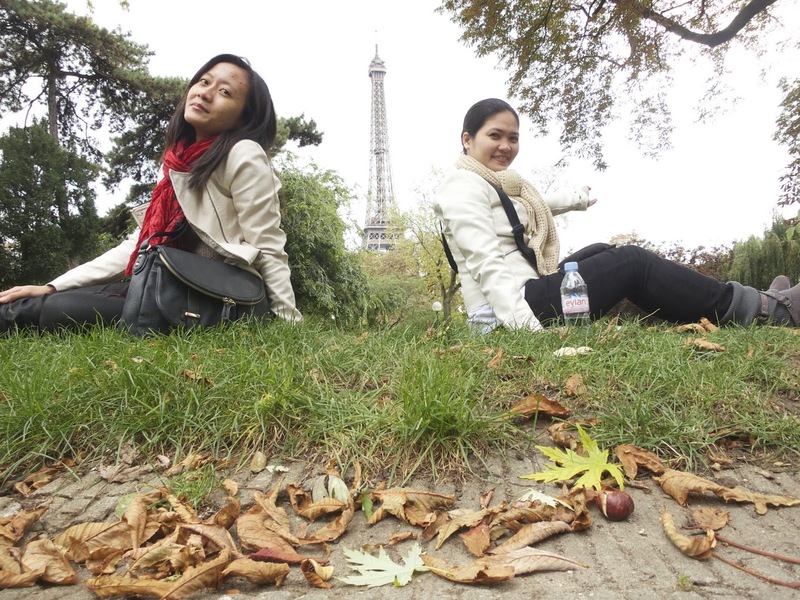 It was already autumn, when throngs of tourists should be dwindling down but we didn't take any chances. 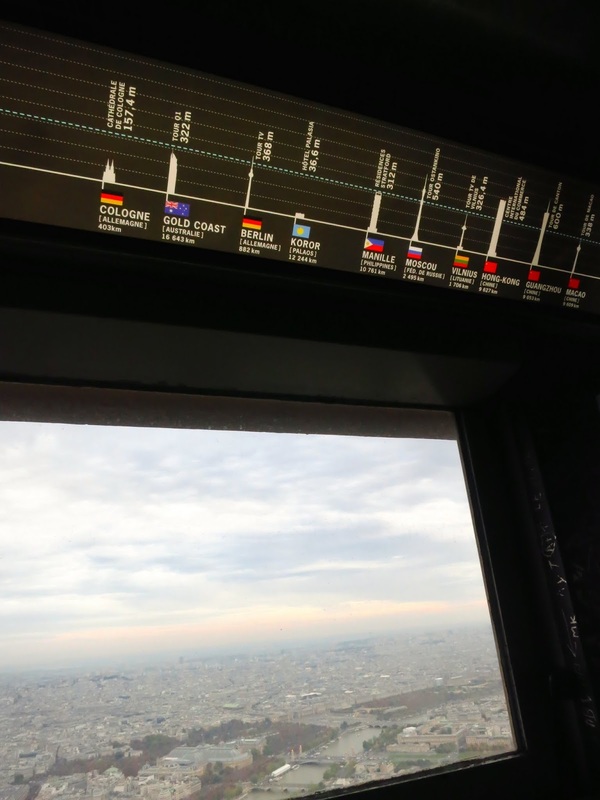 Our tickets was valid up to the sommet because it's not everyday we are in Paris. Anyway, we were already buying a ticket so, why not make it all the way to the top, right? Who then cares about the dizzying height? 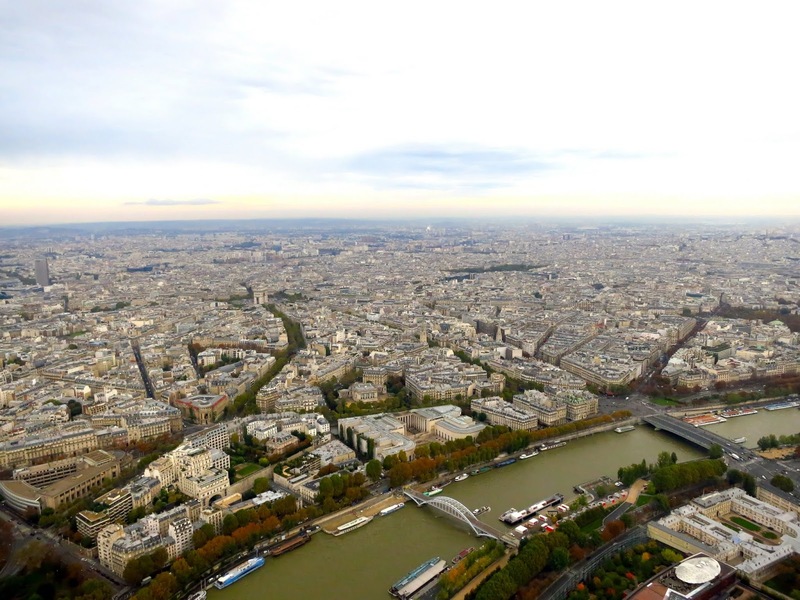 We were seeing a bird's eye view of Paris! If that's any consolation for a few Euros we parted to get a more expensive ticket. Manille sounds so chic. hehe I have never seen that building in Manila though. Yes, kid. This is what you do when you are extremely overjoyed! Yes, we made efforts in taking our photos. haha Like climbing a flight of stairs a number of times. 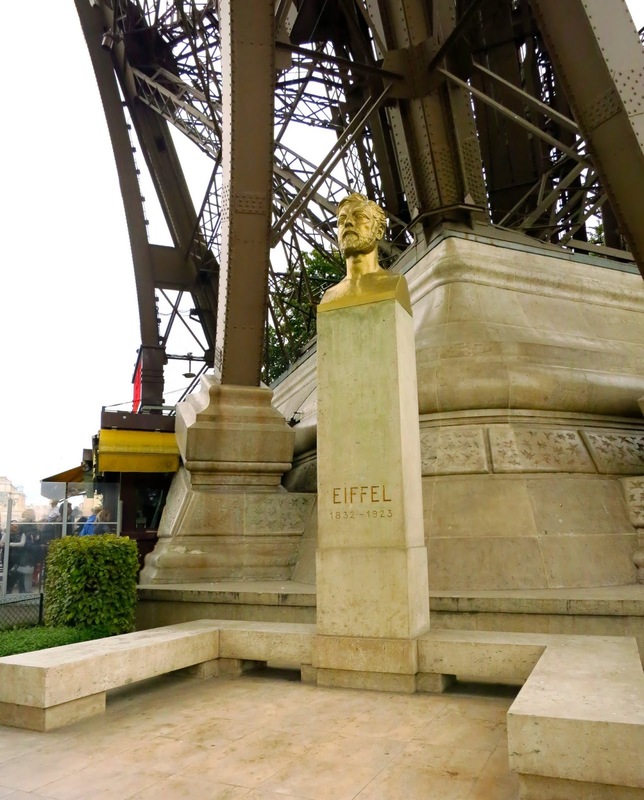 Back to the ground is Gustave Eiffel's bust in honor of him and his excellence. Now, this ain't a statue but a man and his bowl, waiting for someone who can give a few loose change. 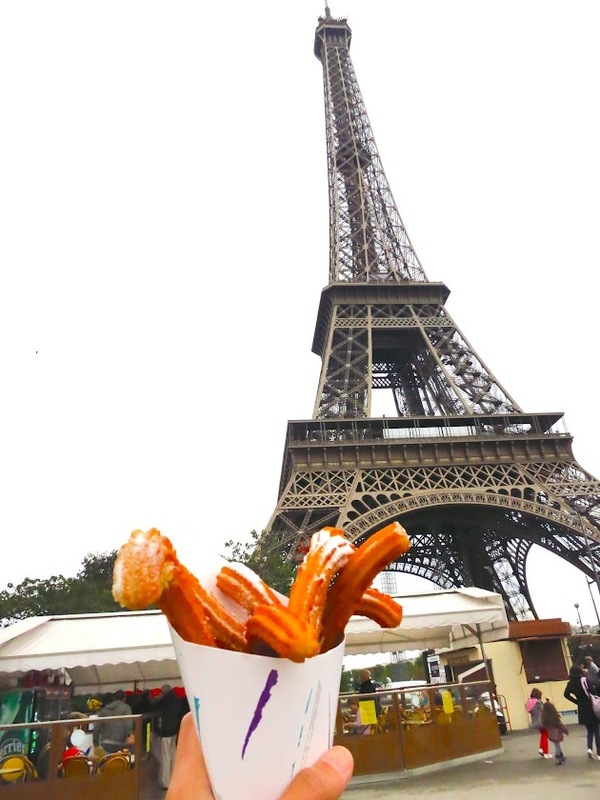 And a packet of churros to cap our Eiffel Tower climb. 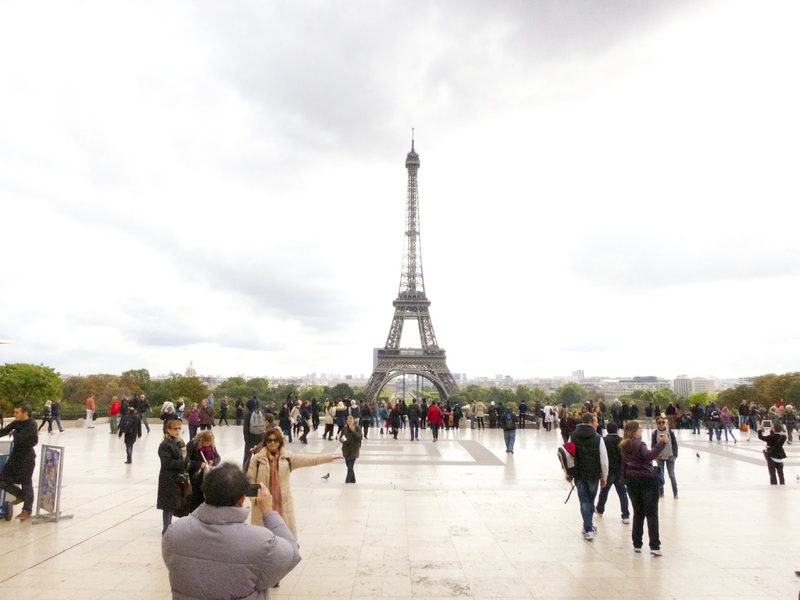 Yes, the Eiffel Tower represents the word "touristy" in almost every aspect. There were still even crowds during a supposedly low season and I refuse to think what happens during summertime. Peddlers of trinkets in all sorts are everywhere. Food stands have slightly overpriced goods. A souvenir shop at the second floor of the tower, sells key rings with a very noticeable "Made in China" marked on them. 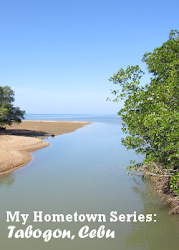 It has the many reasons for someone who hates crowds, to get away from it as far as possible. But no matter what. 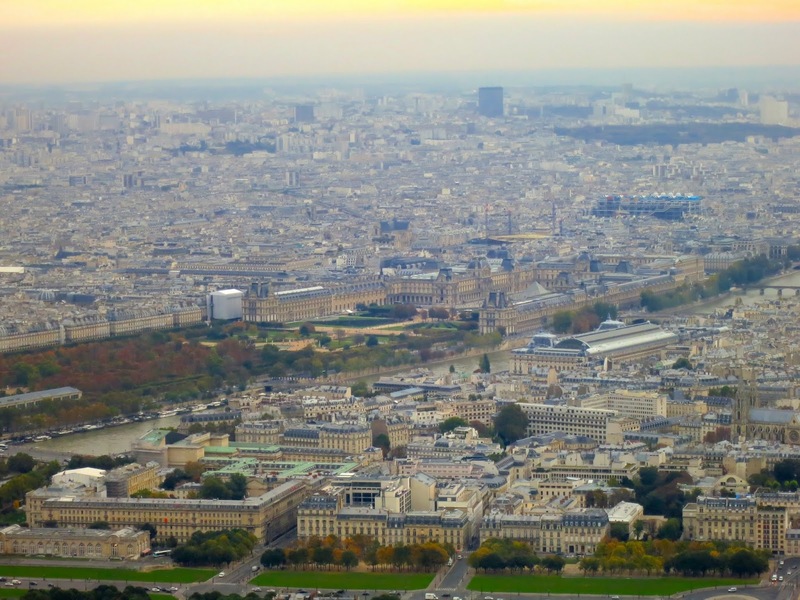 Paris won't be the Paris that we know, without the Eiffel Tower. 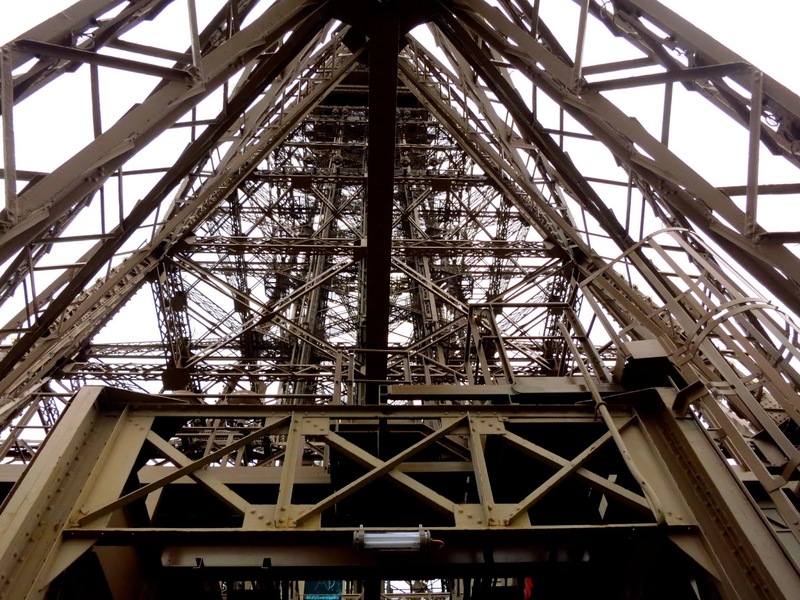 It remains for always, a great marvel of fine engineering that withstands time, inspiring the rest of the world. 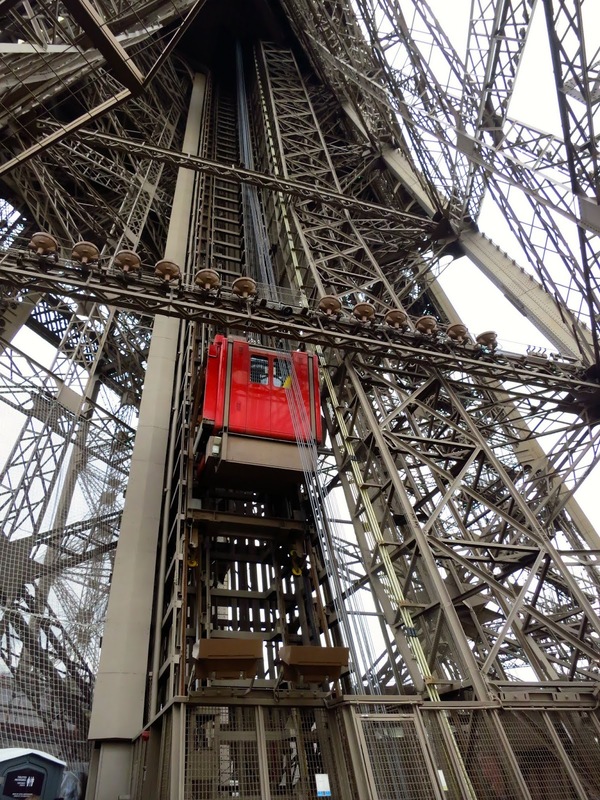 For the latest and other ticket prices, here is the Eiffel Tower's website.